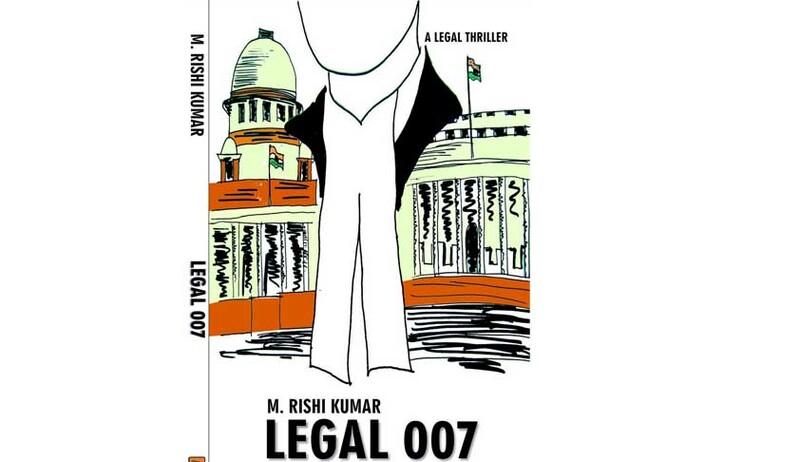 Chennai based lawyer, Rishi Kumar has come out with his second novel, Legal 007. The legal thriller is being published by Leadstart. In the story, a central minister is alleged to have taken kickbacks to the tune of several billion USD from a French arms manufacturer in return for the grant of the biggest defence contract in independent India’s history. Mystery shrouds the assassination of Army General Manjunath around the same time. Yashwant Gaikwad is the youngest designated senior advocate, famously known in the Bombay High Court Bar as Legal 007 for his legal acumen and presence of mind with which he resolves legal matters. Yashwant finds himself entangled in this scam when he takes the brief of the alleged corrupt central minister. Not knowing whether he is on the right side, the clock is ticking for Yashwant. The nation is gearing up for the next Parliamentary Elections and Yashwant has to unravel this mother of all scams before that to expose the perpetrators. Putting his and his family’s life on the line, with danger lurking at every step, Yashwant sets out on a mission. He can only trust three people in this mission, Latika a journalist, his mentor Justice Harshwardhan Dubey-a retired Chief Justice of the Supreme Court of India, and Mubeen Mian a dreaded underworld don. Yashwant’s journey forms the crux of the novel. Kumar’s first novel “Mota Seth-The Senior Partner” published by Pustak Mahal, was the story of an aspiring lawyer to become a Senior Partner (or the Mota Seth) in a law firm. Kumar has keen interest in screenwriting and holds a Diploma in Screenwriting from New York Film Academy.